I spend a considerable amount of time by myself. In fact, I do most things by myself. Whether it’s going for a run or reading and doing New York Times’ crosswords in the park, working out at the gym, going to the museum, or staying at home watching Netflix, and cooking big Sunday dinners after church, I do it alone. For the most, this is not by choice, but it’s often very therapeutic. It has allowed me to really grow to know myself, to be introspective, reflective, to find holistic ways to entertain myself, to be focused. Above all, it has taught me to find my own happiness, how to be happy with, by and about myself. People who know me well, especially those friendships I built for almost three decades before moving to New York a few years ago, would find it peculiar to hear that I’ve become somewhat of a loner. To most of them, I’m the consummate social butterfly. I’ve been known to attend the funeral of a complete stranger and leave having made acquaintances with relatives and close friends of the deceased – in the midst of their sorrow. I’ve had friends invite me to events where they were the only persons I knew, only for them to find me in deep conversation with guests – from the least known to most popular. More than once I’ve gone to Yankee Stadium by myself to watch my favorite baseball team play at home and by the ninth innings, fellow fans – strangers – were buying my drinks. 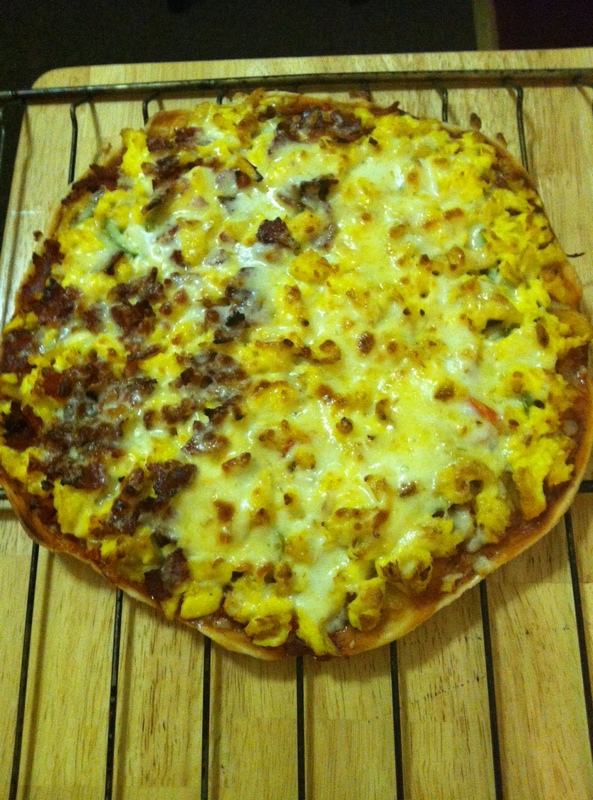 My homemade breakfast pizza. See below video with method. It’s not a challenge for me to easily establish rapport with people, to sustain their attention or even build worthwhile, enduring relationships with them whether platonic or business. I am never short of “connections” and especially in this era where we have so many “friends” via social media, there is almost always someone with whom any of us can interact. Alas, it seems that more and more, our relationships are thriving on interactions via social media. While there are moments when these virtual friendships can be our saving grace, ultimately nothing beats that in-person contact. Well, at least, to me. Unlike, my friendships back in Barbados where weekly and even daily I saw and spoke on the phone with my friends, here in New York, those closest to me (with the exception of about two) tend more so to text or email. A telephone call from them is a rare treat. I swear, I get more calls from Barbados than I do from within the US. I don’t think my friends here love me any less, but in many ways those friendships differ from the ones back home. For starters, because I went back to school “mid-career” and that’s where we met, most of my dearest friends here are at least five to 10 years my junior. Many of them are now discovering things that I’ve long “forgotten” or become bored with, be it the NYC club/party scene, the carnivals (Toronto, Miami, DC, Trinidad etc.) or serial dating. Several of them are now experiencing the excitement of landing their first “official” job and some of them are still trying to find it; I’ve spent well over a decade in my field. The things we share in common only infrequently bring us together in person. Cooking is one of my fave things to do and to keep myself busy. See vid below. As for my friends around my age, unlike single, childless me (for now), most of them are married with children and seemingly appear to socialize more with friends in said situations. For special events like birthday dinners and the occasional baby shower or kids’ parties, I’m invited (I’m god-mother to a few of their children). But then for July 4, Thanksgiving Day or Christmas Day, hardly anyone ever remembers me until afterward. Thank goodness, I usually go home to Barbados for the Christmas holidays. I don’t think that people intentionally snub me on these occasions. I realize that most folks are usually caught up with immediate relatives, routines that existed before I came into their lives and of course many of them travel to family or have in-laws etc visiting, so I’m the last person on their minds. I don’t hold it against them. Plus, I think most of my friends here usually take it for granted that I’m the ONLY person in my family in the US. It’s tough to start a new life in a new country at this stage in one’s life. I came prepared for the many challenges and I have no regrets about this choice I made. I love New York. I love my friends here, who hail from every continent, are of every race, represent almost every religion and totally add to the amazing diversity of this city. Most of all, they enlighten the life, bless the heart and expand the “world” of this island girl. And in those moments when I most need a friend, the most loyal ones always show up. Yes, I love my life in New York, even with the seemingly unending hurdles; I’m a better person from it all. But my God, why does this big beautiful city with all its blinding lights and incredible people have to be so painfully lonely? Awww, thanks Kimani! Yes, I do miss our Skype chats. I need to rectify that ASAP. Oh man – this one had me! Big Hugz my friend – your prose, your emotion, it gets me from Word One…and I aint the easiest customer! LOL! Keep them coming Queenie…I cant wait to read them all in the Book! Great post! I didn’t realize you were in the US alone. Let me know if you ever need anything! Although I’m not in the area anymore, I have my ear to the streets. 🙂 I’m still on my journey of enjoying doing things alone. It’s been a bumpy ride to say the least. Thank you for sharing! Thanks Shemi! I appreciate that. And congrats on the new position. :-) One love sis. Wonderful, poignant article to which I could definitely relate. Thanks for sharing. well my dear…as always….well said. just wanted to point out to you that i am one of your few friends who (although I look like a superstar teenager…lol) am ur senior, and like you have left my job mid-career to further my education. it is very tough to start life at this stage of the game in a new country…especially without the help and support (as was originally promised) by relatives/friends etc, But…i have risen to the challenge (and so have you my beautiful affluent sister). in time to come…we all would have made our contribution and left our indelible mark on the world. Continue to reach for the stars. Live long and prosper. Be blest. Peace & Love! 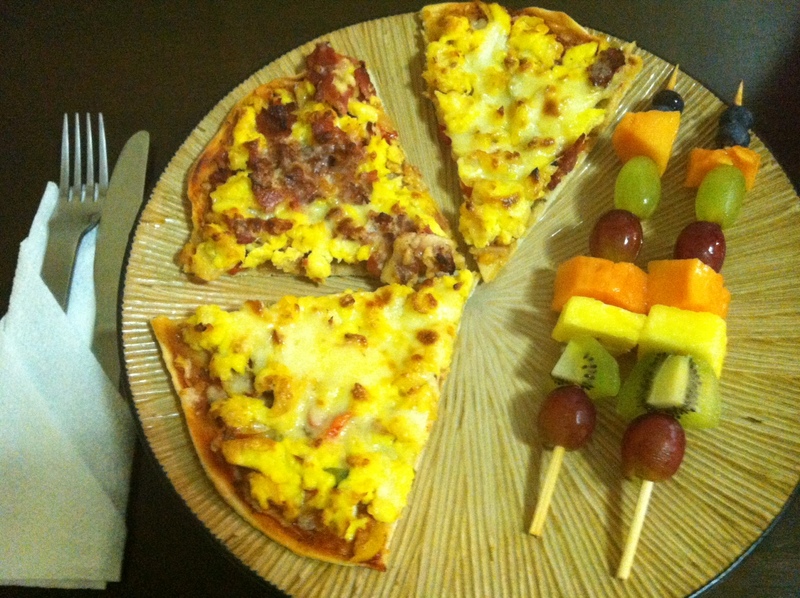 Love the blog, that pizza looks good. A dash of Pickapeppa sauce would be great. Thanks Clinton! 🙂 Lol@ peppa, I see you like hot and spicy lol!